Numerology can be seen as an old science or an ancient tradition which is based among other things on the teachings of Pythagoras and which deals with numerical patterns to analyze for instance the personality of a human being. To do so, numerology uses personal or core numbers such as the Name number, the Birth number, the Destiny number or the Heart's Desire number, just to name a few. Each of these personal numbers uncovers specific qualities, talents and character traits the individual very often is unaware of. As the horoscope has the same goal, numerology numbers have been used for thousands of years as a complementary divination art alongside astrology to offer people a helpful guideline to get through their daily struggles. Numerology can be described as a system that explains the mystical relationship between numbers and letters and certain coinciding events. It is based on the teachings of Pythagoras and therefore considers numbers to be a key component of Creation, which is why numerology is implied in all ancient cultures, religions and philosophical traditions. Some even say that despite its objectivity and exactitude, mathematics can't be separated entirely from numerology. With reference to astrology, numerology offers a different perception of the human being by stating that independently from a person's zodiac sign, his name and his date of birth contain numbers which reveal a lot about his individual talents, qualities and character traits. Needless to say, of course, that the interpretation of these numbers and their meanings is quite complex. A numerology calculator requires knowing one's core personal name numbers, among which the Name number is probably the most influential one, as it reflects the behavioral pattern of an individual in interpersonal relationships. Another very important number is the Birth number, which is also called Life Path or Destiny number. It is calculated based on a person's date of birth and basically indicates the direction in which an individual is going independently from their zodiac sign. The Birth number also says a lot about someone's character traits, gifts and talents. The Personality number is quite essential as well, as it indicates the first impression an individual leaf on others. 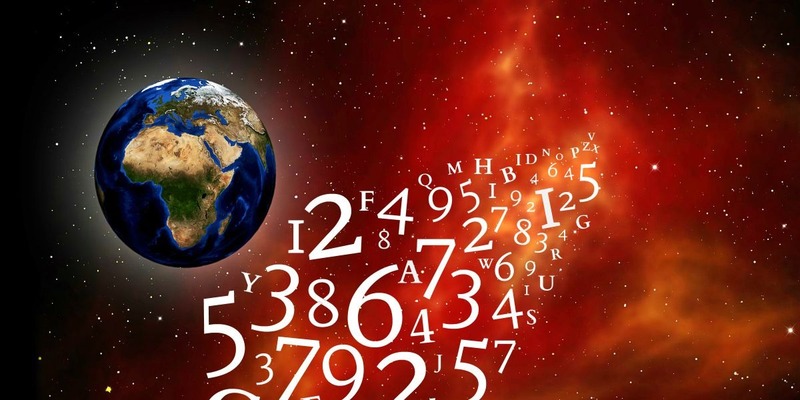 In order to calculate someone's Name number and any other of the personal numbers, it is important to know that every letter has a numerical value and with that a unique vibration, which has an effect on the kind of relationship someone has with others, with themselves, with their life and with the Universe itself. Numerology numbers then interprets the sum total and the cross total of the core numbers that characterize a human being. The more sensitive ones can literally perceive the aura and the energy of their personal numbers and are aware of the specific associations they have with the different name numbers. In order to experience the effect of the numbers that are related with one's own personality, the quickest way is to use the digital calculator on this page for that purpose. It is based on the numerological principle of converting letters into numerical values and of adding these name numbers as well as the digits of someone's birth date to find out what kind of person he or she is. Hence, the Name number is the sum of a person's full birth name and their birth date, the Destiny or Life Path number is the sum of their birth date only, whereas the Heart's Desire number is a cross total of all the vowels – i.e. their numerical value – in their birth name. The numerology< calculator illustrates that there are several ways of gaining an insight on the personality and the life purpose of an individual and of understanding what numerology numbers is about.